Every couple dreams of having the perfect wedding and we are lucky enough to say that our dream came true. 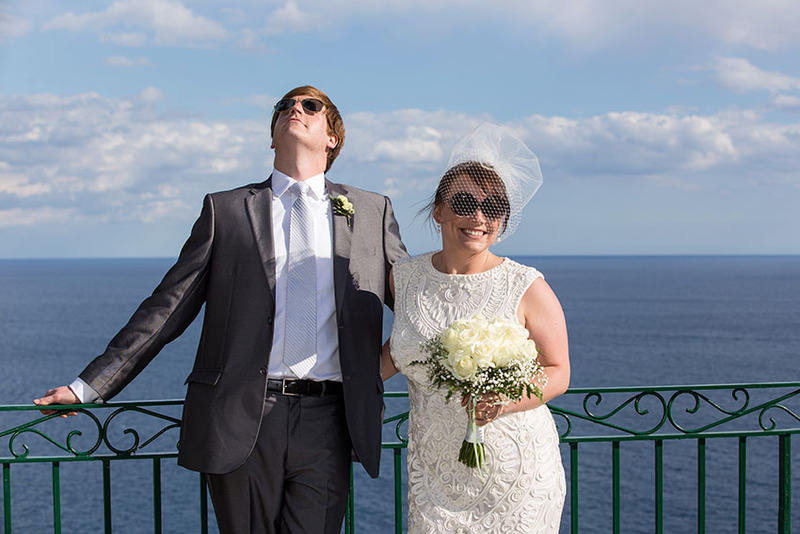 We knew the moment we decided on a small wedding that Positano, Italy would be the place we wanted to start the rest of our lives together. The entire process of getting married was amazing, especially in thanks to the fantastically talented Chiara D’Angelo. The paperwork assistance, venue suggestions and travel arrangements she provided were a crucial part in making our experience exceptional. The moment we arrived in Italy we knew we had made the right choice. Every detail exceeded our expectations! We could not have imagined a more beautiful or well-planned wedding celebration. The ceremony at the Town Hall was followed by a photo tour of the most beautiful spots in Positano, a cocktail hour on the beach and then dinner at a restaurant that has been owned by the same family for generations. Each course of the wedding feast was suggested and arranged by Chiara. Absolutely delicious! We cannot thank Chiara and Exclusive Italy Weddings enough in helping to make our dream become a reality.